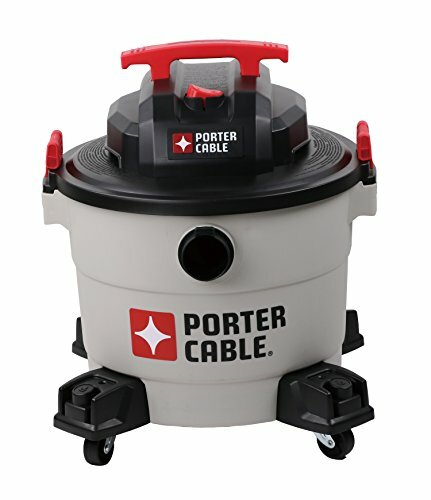 The Porter-Cable 9-gallon, 5 peak horsepower, wet/dry vacuum features a powerful heavy-duty motor, providing maximum suction power for heavy-duty pickup. Use for both wet and dry pickups. 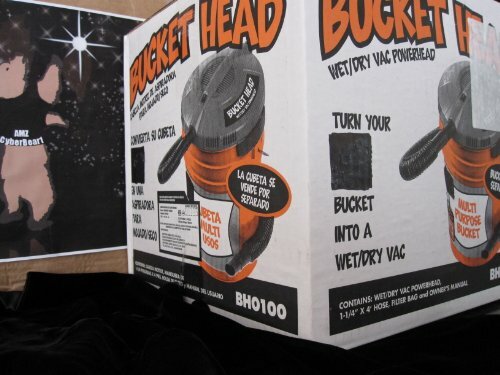 Powerful blower port instantly converts the wet/dry vacuum into a power blower. Strong handle for easy transport. Large water-resistant switch for safe and quick access. Convenient, built-in 10-foot power cord wrap. Accessory storage casters keep your tools organized and provide ease of movement in any direction. Porter-Cable wet/dry vacuums provide superior performance in any environment. Includes a 3-year limited warranty. Extended warranties available. 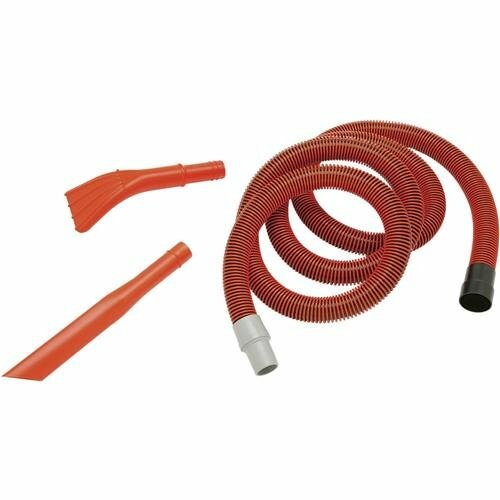 Accessories included: 8-foot flexible hose, extension wands, cartridge filters, round brush, ultility nozzle, disposable dust bag and floor brush with wheels.